I love using my eBrush for making backgrounds and I got inspired by this tutorial by Jenn Cochran to mask a stamped image and airbrush the sky. I've been looking for masking paper or post-it tape but couldn't find any so I just sprayed a sheet of printer paper with repositionable spray adhesive by Crafters Companion. 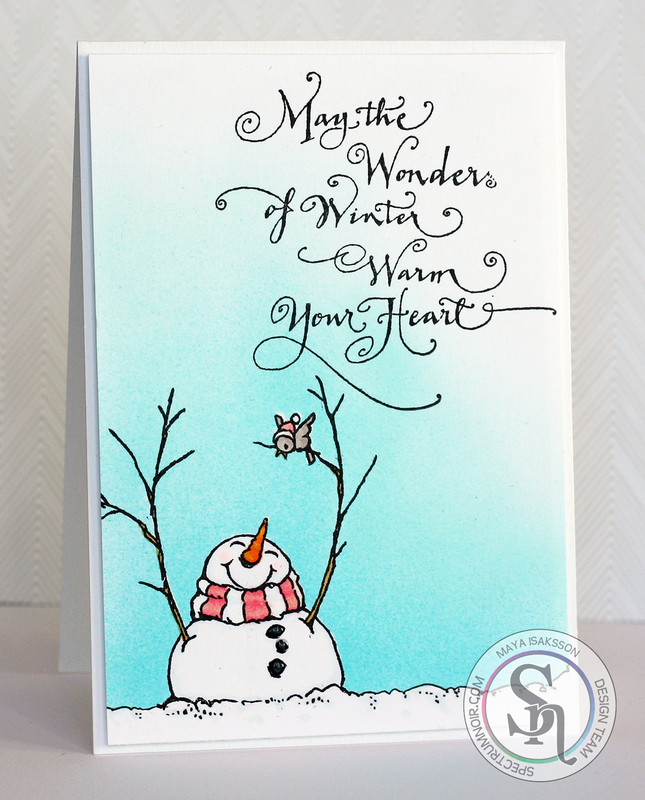 The snowman stamp is by Stampendous. The text I can't remember the brand of, the packaging is no longer around. I used IB1 and IB2 Spectrum Noir markers for the sky and GB8, OR1, OR2, IG7, CR3, CR5, GG1, PP1, BG2, BG3 for the snowman.